Looking for resources on bringing the wow factor in room makeovers? Unsure of your DIY home decor skills? Are you unsure of how to optimize small living spaces? On a limited budget? We’ve been working super hard giving our fixer upper home a complete renovation over the last couple of years. Almost every single thing that you see in these photos has been completed by my husband and me. Are we done yet? Not even close! 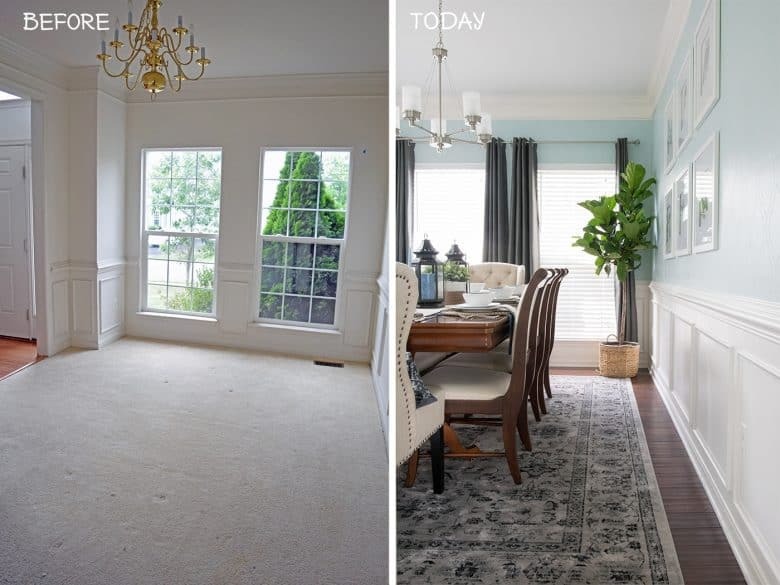 But I want to share some of these transformations with you to show not only how far we have come but that little by little, and at your own pace, you can create a home you love even from the most dire of houses. 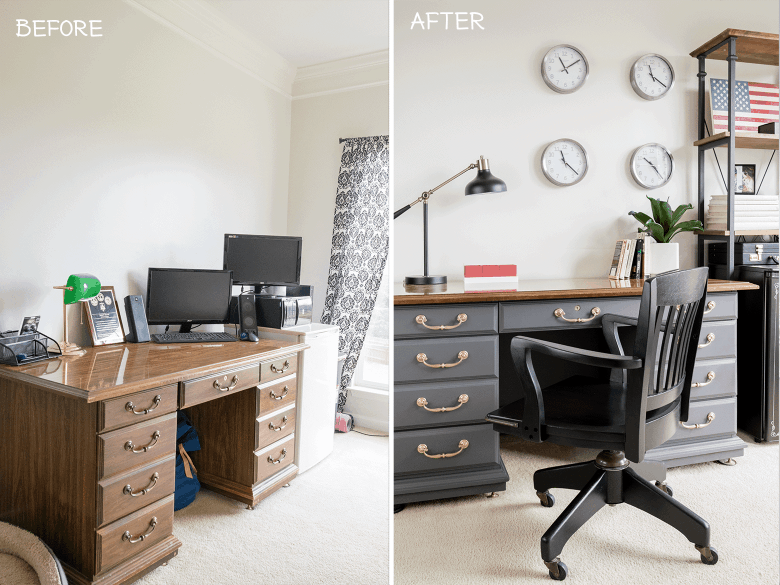 I share these transformations not to brag or anything but to show the power that DIY home projects have. In a nutshell, our story is that we bought a nasty fixer upper that was an unbelievable deal. Our home was in such bad shape that we couldn’t actually move in for 6 months, although we spent every weekend here fixing stuff ourselves. And when we did move in, it was basically just throwing stuff wherever it would fit. Like most home owners, I didn’t have $30-40k to throw into renovations and decorating, so we spent the first 18 months fixing the most eyesore projects and functionality ourselves. All of our furniture is thrift store or craigslist. Over the last year, I am finally able to concentrate on a whole room until it’s finished – then move on to the next one. It’s a real feeling of accomplishment and feeling like it’s actually become our home! Take a look at the rooms that we were able to complete and there will, of course, be more coming soon! 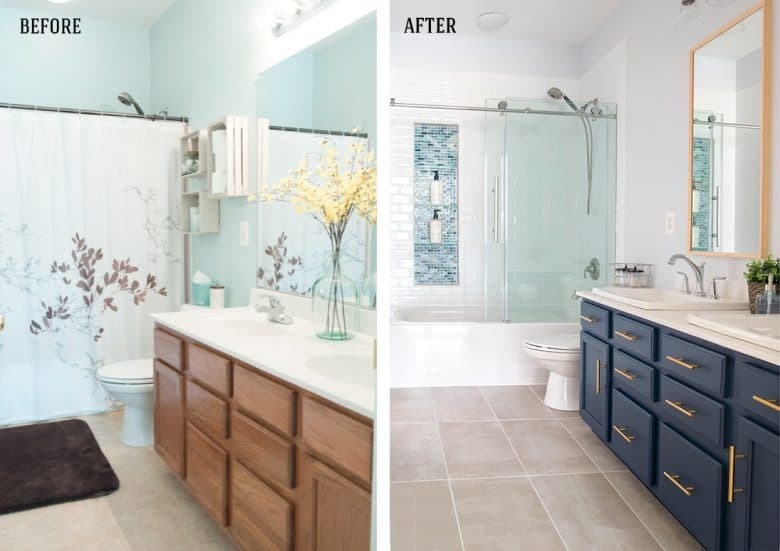 Click on the post title to be taken directly to the before and after reveal of each room! Since these are DIY home decor projects, I have also listed links to the projects that make up that room. It’s so nice to look back at the huge difference we have made, one DIY home decor project at a time! What’s your favorite room so far? If you feel like you just don’t know where to start, start with the basics and functionality that will most improve your daily life. I started with my craft office and it was the best decision I could have made. These projects are all done with mostly basic tools that any homeowner should have that will last a lifetime and used over and over again. 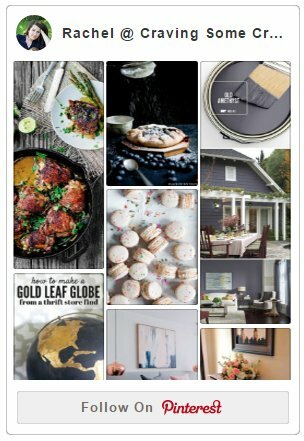 Thank you for joining us on this journey and it’s always my little hope that this blog will be an inspiration to the average couple who want to create the life and home they dream of!